Age 40 just knocked on my door and so did wrinkles. What can I say, it’s absolutely normal but I don’t want a Shar Pei skin. And I don’t trust those expensive moisturizers with aggressive commercials. We might be getting old but this doesn’t mean we aren’t thinking. But I trust in natural remedies, because they don’t have side effects, and the worst think that can happen is not to be effective. So, you’ll try another remedy because it means is not suitable for your skin type. What can I say the below remedy worked very well for me, and I am very proud of it. 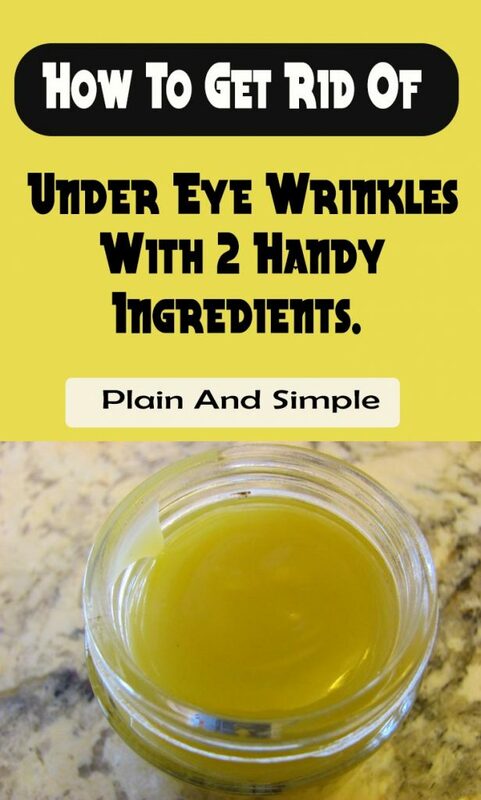 Cheap and less wrinkles! I like how it sounds. It’s not an instant wrinkle removal but in time the effects are visible. Worth trying! Prepare a homogeneous mix by mixing the Argan oil and vitamin e capsules. After you achieve a homogeneous mixture, you have to apply with your fingers the solution around the eyes, leave it for 10 minutes and then easily rub the skin around the eyes. If you use regularly this serum you’ll achieve the desired results very quickly. You have to apply the solution in small amounts every night. Using this method, your skin will be more elastic and rejuvenated, and very silky and shiny. So, if you liked this article, or simply want to help a friend, don’t forget to pin it! Thanks!